Getting a new kitten is an extremely exciting time for everyone involved. Just like when you get a new puppy, there are some things that you should consider before you go out to get your new fluffy friend. Our animal rehoming centres are full of cats that need loving furever homes, and at certain times of year these centres can also be overflowing with lovely kittens. So if you are not looking for a particular breed, it is definitely worth speaking to your local rescue centre to see what they have available. If you are considering a certain breed then it is worth researching this breed as much as possible before you go out and buy one. 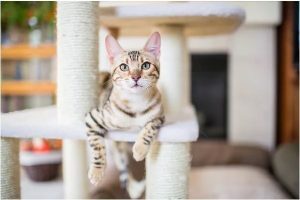 Certain breeds can be more likely to suffer from particular health problems and have different characteristics that may make them more or less suitable for some home situations (for example if you are planning to keep them in as a house cat). When getting a new kitten, it’s easy to get carried away playing with a cute little bundle and forget all the sensible things you should ask. So here is a useful list of questions and what the correct answers should be! 1. CAN I SEE THE PARENTS? Although it is slightly more common for people selling kittens to only have the mother in the house, it is still worth asking about the parents. They should be open and honest with you about who the parents are. If you can see the mother and/or father, it is worthwhile as certain behavioural traits are inherited and so this may give you an idea of what temperament your kitten will grow up to have. 2. HAVE THE KITTENS BEEN FULLY WEANED AND WHAT FOOD ARE THEY EATING? It seems obvious that the kittens should have been weaned before they are sent to their new homes but it is important to be clear about this. Some less ethical people will want to sell the kittens as quickly as possible, and I have seen young kittens taken on in good faith who unfortunately have not been fully weaned. There is a milk substitute we can provide but it is a lot of hard work to provide around the clock food for a very young kitten. It is also important to know what food they are eating so this food can be continued in their new home. To avoid tummy upsets food should be changed over slowly. You can change their diet to something of your choosing, but it is better to do this slowly once they are settled in their new home. 3. HAVE THE KITTENS AND MOTHER BEEN FLEA TREATED AND WHAT WITH? Even if the kittens have only been indoors, the mum could still have brought fleas into the home. Fleas in kittens can be serious as they are only little and can lead to problems like anaemia. They are also a pain to get rid of, so they are not something you want to bring home with your new pet! It is also important to know what product has been used and when, as this can affect what we will be able to use to continue with flea treatment. 4. HAVE THE KITTENS AND MOTHER BEEN WORMED AND WHAT WITH? This is really important as worms can be passed from mum to kittens via the placenta and in her milk. Which is why it is important to check that mum has been wormed as well as the kittens. Worms can cause a problem in how well the kittens absorb their food, which can cause diarrhoea. They can also cause problems in young children or immunosuppressed adults. Again it is really useful to know what worming product has been used and when. 5. HAVE THEY HAD ANY VACCINATIONS, AND IF SO DO THEY HAVE A VACCINATION CARD? A vaccination card is the record that the vet provides to show what they have been vaccinated against; what brand vaccination has been used, and when it was given. Most kittens will have only had one vaccination (the primary course all cats need is two injections 3-4 weeks apart) before they are re-homed due to the fact they have to be a certain age before their first and second vaccinations. If they have not had any vaccinations, as long as they have been kept inside, this is not a problem as we can do the whole vaccination course. In fact in some cases, this may be more convenient as when one brand of vaccination has been used for a first vaccination, this should be followed by a second vaccination of the same brand. As different vets stock different brands, it can sometimes be difficult to match vaccinations, meaning the course may need to be restarted. 6. HAVE THE KITTENS BEEN SOCIALISED AT ALL? Just like puppies, kittens need socialising at a young age. The things they experience at 2-7 weeks old shapes how they will react to things as they get older. So a kitten that comes from a household that has other pets, children and owners that are aware they should gradually and slowly expose them to different sights and sounds will grow to be a less nervous adult cat. Getting a new kitten should be lots of fun! If you have any questions before you go to get one we are more than happy to answer them. Although not as happy as we will be when we finally get to meet your new addition!